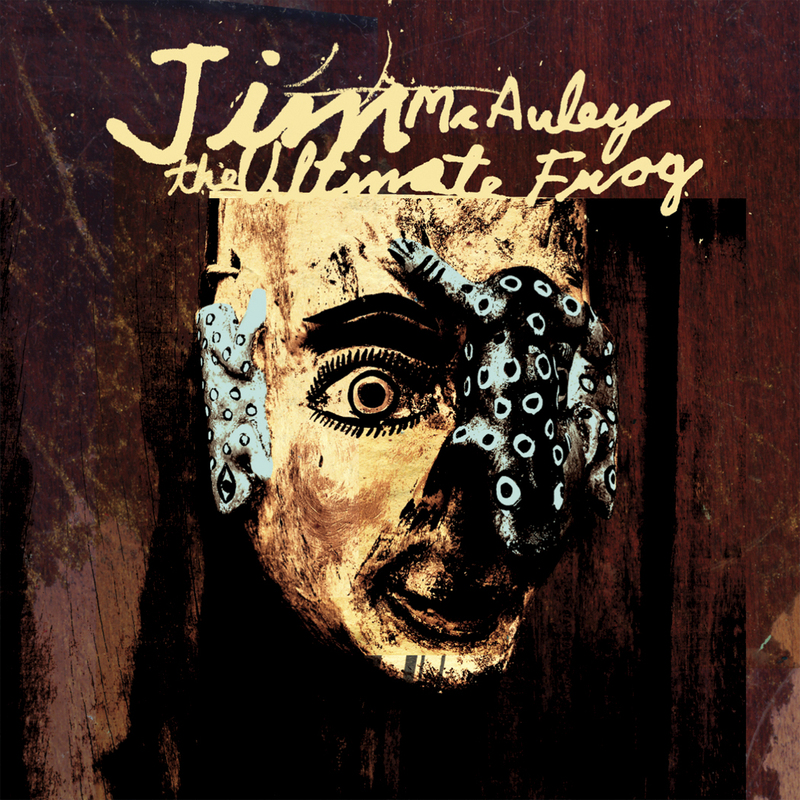 Jim McAuley's The Ultimate Frog is a two-CD collection of duets between the guitarist and four great musicians: Leroy Jenkins (violin, viola), Nels Cline (guitars), Ken Filiano (bass) and Alex Cline (drums/percussion). The result of these pairings is a diverse and richly textured set of music, which includes quick-witted open improvisations, freeform folk and blues tunes, aching ballads and earthy modal pieces. McAuley is one of those few musicians who are (as Ellington put it) genuinely "beyond category"; his playing is an intensely personal distillation of a huge range of influences--from fingerpicked blues to free jazz, not to mention Arabic oud music and Renaissance lute-song. The Ultimate Frog is a long-overdue collection of work from this too rarely documented master guitarist. Jim McAuley was born in Kansas in 1946; much to the dismay of his parents, his musical talent showed early, and as a teen he turned his attention to playing acoustic blues guitar. Classical studies, folk guitar and jazz shortly entered the mix; in later years, he also took up kora, charango and oud. In the late 1960s he was a member of a folk-rock group, Mouse; under contract to Capitol Records, the band moved to Los Angeles, only to fall apart before even recording their first album. Stranded, McAuley spent a while as part of producer Don Costa's stable of studio musicians--he's present on albums by Perry Como, Frank Sinatra, and Eydie Gorme, among others--but the experience left him disenchanted, and it wasn't long till he embarked for Europe (first Paris, then Ibiza) for an extended sojourn, concentrating on just "getting next to [his] guitar". Returning to LA in the mid-1970s, he hooked up with the many fine players on the local avant-jazz scene--most crucially, the clarinettist John Carter, who was for a time his mentor. McAuley also connected with the post-Harry Partch microtonalists Erv Wilson, Ivor Darreg and Kraig Grady, an interest that much later bore fruit in the Acoustic Guitar Trio, a collaboration with Nels Cline and Rod Poole exploring just intonation, regular temperament and many other tuning-systems (often simultaneously!). He kept a low profile, supporting himself with gigging and teaching, though one other false start towards a recording career occurred in 1976, when he was signed to John Fahey's Takoma Records, then dropped when the label was sold to Chrysalis. In the 1990s he led a series of disparate groups for Cline's Alligator Lounge series--a constantly mutating project he dubbed "The Gongfarmers" (a gong farmer, if you really must know, is a medieval latrine cleaner). Despite this, McAuley's previous release under his own name, Gongfarmer 18 (Nine Winds), is actually a solo recording. His only other CD to date is the Acoustic Guitar Trio's self-titled debut, released on Derek Bailey's Incus label. "...a hauntingly heartfelt feat..." - Exclaim!